When I see a Gio post in my reader I sit and savour - for this is rare, this human erudition combined with feeling, memory and loss, history and pain. 1963, a shot heard round the world and that same day nearly, merc is born. You are, as always, way too kind. The collection of images superimposed is for me more shocking, in that it shows an entire city (and indeed an entire country) under seige and quite literally fighting for their lives. I always think that New Zealand and Australian relationships to war are profoundly different to those of Europe, because our wars have always been soldiers wars, fought by young men who we could imagine as valiant, brave, and pure. Veterans of the Second World War would like us to forget the great civilian human cost of war, and are not above using outrage in order to impose this oblivion. Aside from the Jewish and Romani populations, I don't think there's anybody in Europe who can understand what the Soviet Union went through either. The London Blitz is said to have scarred a a generation of English people: it lasted 8 months and killed 40,000 - which is plenty, to be sure. By contrast, the Leningrad blockade lasted nearly 900 days and killed an estimated million and a half. I don't know how you begin to get your head around that. As for the poppies polemic, I can't say I'm impressed by the timing of the white poppy campaign either. If they can't find a way to distribute side by side - and I can see how that move would be resisted for sure - I say choose a different date altogether. Or at least have the debate before barging in. I'm not sure I agree with the blanket statement that veterans want us to forget about civilian victims either, although perhaps you meant the RSA more specifically. At any rate while I find it quite difficult to relate to the Anzac Day celebrations, I think there are complex sentiments there that as a pacifist I'm not quite ready to dismiss wholesale. But I'll defer to Scott Hamilton on this one. I'm absolutely in agreement with your statements on the ways in which Russian/Soviet human suffering in the war makes almost all others insignificant in comparison. I have no knowledge on how it affects/ed the psyche of the societies on which it was wrought. The PMA could have handled the issue with greater finesse certainly - tact is not one of Hughes' stronger points. If their purpose was to create controversy, they've achieved it. The debate over memorialising the wars is an ongoing one, and which pacifists have largely refrained from in recent years in the face of calls to "respect" and "honour" the sanctity of ANZAC Day. If we keep silent for the sake of keeping old men happy, the few meagre things that can be gained from war are likely to be lost. Instead, New Zealand will have militarised history, in the way that Australian history has very rapidly been changed. I have to disagree with Scott on the nature and meaning of ANZAC Day. Hopefully this inspires me to write the post about ANZAC and other matters I've been preparing. Do that - and if you should find yourself short of a place where to post it, there may be something going by then too. George - our wars have not always been 'soldiers' wars. Heard of the Musket Wars? The Land Wars? 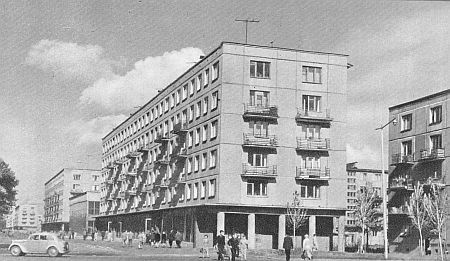 There is a book by a person who settled here as a refugee, which details a child's perspective of the siege of Leningrad. It is gutwrenching...I'll do some checking up and find the name of the author/title of the book. My whanau were in Berlin 1945...they tell of Russians taking their photo albums...among other things...to erase the past. Keri, you're absolutely right, and I can't see why I forgot that (I've got no excuse, having done 19thC NZ history at university) Perhaps because I've tended to categorise them mentally as wars of the British crown rather than of New Zealand? But they're domestic wars certainly. Pugsley calls them 'internal', rather than domestic or civil. It's always struck me as a rather bureaucratic term. Anyhow, some time ago I made a note for a future post that the New Zealand wars account for 40 pages of New Zealanders at War (out of 500), 29 of Scars on the Heart (out of 310) and 29 of Kiwis in Conflict (out of 300). In New Zealanders at War, the 'Wars of Empire' take up four times as many pages. All three books have a photograph of World War One on the cover. This is precisely consistent with the layout of the Army Museum in Wairou. And isn't Anzac day explicitly designed to support the notion that World War One was the conflict in which our sense of nation was forged? Having very German whakapapa has very seriously coloured my world view, and so my work. Of course my Great Aunts suffered a more physical fate. Thank you HB! There are more poems to go with the previous three posts and can be also found handsomely collected here. Not to let the time go to waste, Lenin decided to collect material, while under detention, for the book he was planning to write, Development of Capitalism in Russia. His relatives brought him the books he needed from the library, and they finally filled a whole corner of the ward. In his work reference is made to 583 books. 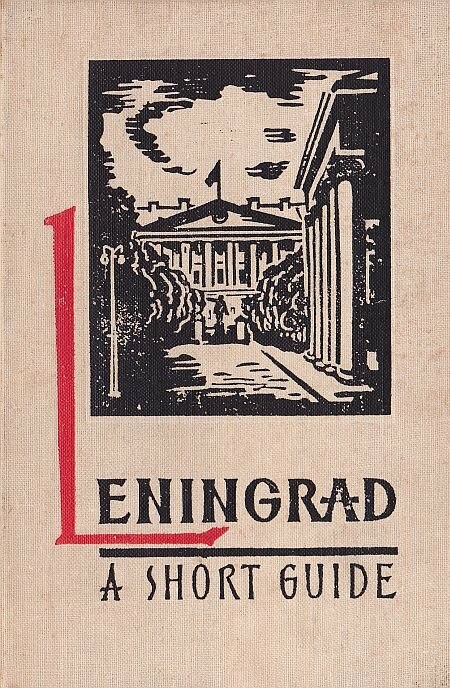 Lenin wrote a draft programme of the Social-Democratic Party (written in milk between the lines of a medical book), his popular pamphlet "On Strikes" (the manuscript perished during a subsequent raid of the underground press in Lakhta, a suburb of St. Petersburg), as well as leaflets and proclamations. In his letters, which were secretly slipped out, Lenin gave directions to the revolutionary underground, and also showed concern for the imprisoned revolutionaries. When writing in milk, Lenin used to knead his bread to make tiny "ink-wells", which he quickly chewed up and swallowed if he heard any suspicious sounds at the small window in the door. In one of his letters, he jokingly said: "On this day I ate six ink-wells." In the elementary school in Hungary of the 70's we were supposed to memorize that plan and those stations, and to re-enact their succession on the school celebrations of November 7. 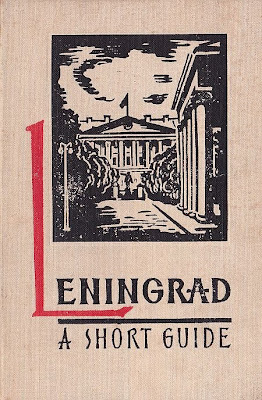 Our mental map of Leningrad was the scene where Lenin is eternally leaving his home for the Smolny to launch the Revolution in forty steps. Interestingly, we were not officially taught anything else about the geography of Leningrad: our studies focused rather on Moscow. An important reason may be that Leningrad in fact has always remained Saint-Petersburg, a conservative and at the same time liberal city proud of its pre-Revolution past. The fact that P. Kann so accurately registers all the old street names is due to their being in use throughout the Socialist period. 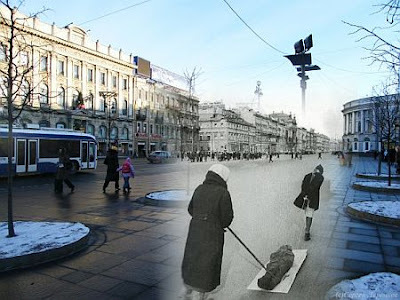 Nobody called Nevsky “October 25 Prospect”, although this was printed on the maps of Leningrad. Even in the novels of the Socialist period the streets are mentioned by their old names. So if you wanted to find your way in Leningrad, the knowledge of the street names of Saint-Petersburg was indispensable. Все знают, что сидя в тюрьме, Ленин делал из молока чернила, а из хлеба чернильницы. Но мало кто знает, что из одного сокамерника Ленин сделал Надежду Константиновну. Everyone knows that Lenin, while sitting in the prison, made ink out of milk and ink-well out of bread. But only very few know that he also made Nadezhda Konstantinovna out of one of his cellmates. The fact that P. Kann so accurately registers all the old street names is due to their being in use throughout the Socialist period. 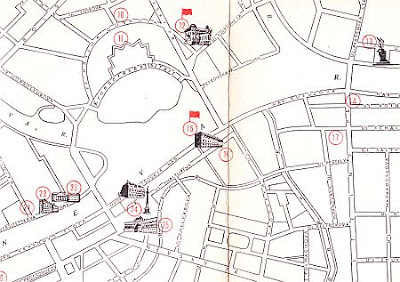 Nobody called Nevsky “October 25 Prospect”, although this was printed on the maps of Leningrad. Even in the novels of the Socialist period the streets are mentioned by their old names. So if you wanted to find your way in Leningrad, the knowledge of the street names of Saint-Petersburg was indispensable. Ah, thank you for that, it really puzzled me whilst reading the guide. By serendipitous coincidence, I wrote this week about enforced toponym changes, new names sedimenting on top of the old ones as a result not of revolution but colonisation. It is remarkable that Leningrad managed to resist that move. In Milan a couple of decades ago the council decided to recognise the fact that the local populace had always called the intersection between Corso di Porta Romana, Corso di Porta Vicentina and Via Lamarmora "la crocetta", the little cross, by changing the name of the relevant portion of the two corsi. To achieve this end, they forced the people who lived at those addresses to apply for a change of residence, as if they were moving house. An almost insignificant case of institutional abuse, to be sure, but somewhat emblematic nonetheless. Owning street names is the last bastion of the scoundrel. Trespass sign, the ultimate street name.